While often overlooked, the role of the nervous system in recovery is paramount. This article highlights the key physical and mental/emotional factors that stress the nervous system and how to activate the parasympathetic nervous system for optimal recovery. Exercise recovery has often been looked at from a localized perspective, whether the muscles are ready to perform that day or if they are sore, swollen, or injured. Fortunately, this perspective is changing and the scope by which recovery is measured has expanded. Coaches and trainers look at resting heart rate (RHR), heart rate variability (HRV), and other physiological measures, as recovery from a systemic perspective includes all systems of the body. Recovery of the muscular, nervous, and immune systems in particular are critical components in helping clients reach their goals. Clients who are injured, overtrained, or have a compromised immune system will not be able to function or perform at an optimal level. This will also prevent them from working towards their goals. While many recovery techniques help with muscle recovery or boosting the immune system, the nervous system often gets left out. Trainers and coaches can better help clients succeed by understanding how to manipulate the nervous system. Activating the parasympathetic response allows the body to adapt and recover. This will help ensure that muscle soreness and swelling diminish more quickly. Clients using RHR, HRV, and other readings and those monitoring their post-exercise energy levels will also observe faster recovery time after intense training. The body is intelligently designed. Its built-in mechanisms allow the body to handle and adapt to episodic (acute) stress. The body’s sympathetic nervous system (SNS) and parasympathetic nervous system (PNS) balance each other out. The SNS is catabolic and mobilizes the body’s resources to help the body “fight or flight” threatening situations. The PNS is anabolic and helps the body rest, digest, and recover. The body is designed to spend the majority of its time in the PNS. Ideally, it only uses the SNS for true life-threatening emergencies. However, the body interprets all stress (mental and physical) as a reason to activate the SNS. While most people are not faced with life-threatening situations on a daily basis, their bodies perceive that this is the case. Their hectic lives filled with adrenaline rushes from caffeine, too many deadlines, and rush-hour traffic trigger the SNS. Worry and mental stress add to the physical stresses and compound the issue because the body cannot differentiate between a real or imagined stress. Thus, a person who constantly worries and thinks about stressful situations (i.e. being behind on bills, rehashing an argument at home, or layoffs at work) activates the SNS through imagination alone. Optimal recovery from exercise, and from stress in general, requires techniques to reduce the dominance of the sympathetic nervous system from physical and mental/emotional stressors and activation of the PNS. Unfortunately, most clients fit into one or more of these categories. The chronic physical and mental stress that they experience may overtax their bodies’ ability to adapt and maintain homeostasis. This is especially true if restorative techniques are not utilized to minimize sympathetic dominance and strengthen the parasympathetic response. One of the first requirements to improve systemic recovery and minimize physically over-activating the SNS is to monitor the amount of stress a client endures from their workouts. Exercise, and movement in general, is a necessary component to optimal health and helps reduce stress, depression, and anxiety. However, the body still experiences exercise as a stressor. The more intense the exercise, the more stress the body endures. In a study by James et al. (2012), subjects participating in a severe exercise bout (defined as running six 800m runs at 95% of VO2MAX with a 3 minute recovery) experienced an increased sympathetic influence on the heart and HRV and a decreased parasympathetic response. While subjects returned to baseline numbers after 24 hours, the study demonstrated that repeated, intense exercise stressed the subjects’ ability to engage the parasympathetic response and maintain homeostasis. Monitor the intensity of clients’ prescribed workouts. Ensure that rest or active recovery days are part of the training program. The second requirement is to minimize mental and emotional stress so that the body can more easily get into a parasympathetic state. As discussed above, adding the mental stress of worry and anxiety to an intense exercise program may challenge or even compromise the body’s ability to recover, adapt, and remain healthy. While there are many ways to strengthen the PNS response and relax the mind and body, it is important to identify which one(s) will benefit a client the most. Giving them too many new techniques may only increase stress levels. 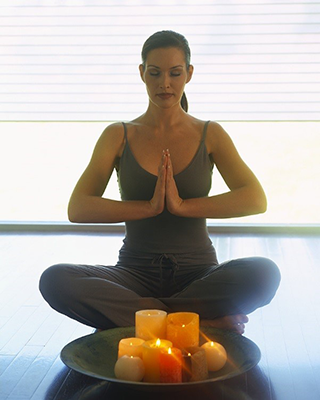 Meditation and massage are two very powerful techniques to help with physical recovery from exercise and lower the body’s mental stress response. However, the effectiveness of any technique depends on the clients’ desire to do them and their physical and mental response to them. While research demonstrates the benefit of using meditation for relaxing, everyone relaxes differently. It is the job of the trainer and coach to help the client identify which techniques will work best. While some people insist that they cannot meditate, there are many techniques from which to choose. These include mindfulness meditation, breathing meditation, or even guided meditation (for those whose minds wander too much). Similar to exercise, many people know about the positive benefits of meditation in reducing stress, anxiety, and even depression. However, other studies have demonstrated that mediation also allows the body to experience higher levels of physical stress with less sympathetic activation. In one such study, researchers in Norway found that in only six months, male runners who meditated by repeating a soothing sound for thirty minutes several times a week had lower blood levels of lactic acid after exercise. Thus, meditation may give athletes a competitive edge by delaying the production of lactic acid and permitting athletes to exercise at high levels of intensity for longer periods of time (Solberg et al., 2000). When should clients meditate? Several studies found that recovery was greater when yoga asanas (poses) were done prior to a guided relaxation/meditation session, which lasted between 7.5 and 10 minutes (Sarang & Telles (2006) and Telles et al. (2000)). These results imply that the body is able to relax more after performing physical activity. Ending workout sessions with a 5-minute guided meditation may be an excellent way to take advantage of these findings and introduce clients to meditation. If this is not feasible, find a time when clients can practice so that they can reap the benefits of this simple and effective technique. While clients may only be able to get a massage a couple of times a month, it is still valuable in helping them relax and stimulate the parasympathetic nervous system. Massage also has the added benefits of decreasing delayed-onset muscle soreness (DOMS), reducing swelling, and improving athletic performance. Like meditation, clients, who claim they cannot sit still or relax, can choose from a variety of massage modalities and are bound to find one they enjoy. In a study by Zainuddin et al. (2005), participants who received 10 minutes of massage on one arm after eccentric muscle actions experienced less DOMS and swelling than the arm that did not receive a massage. 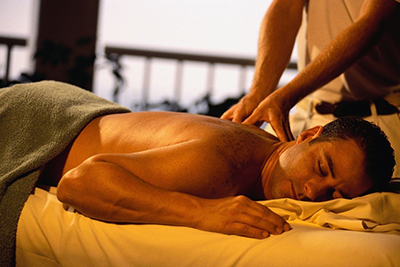 Although that study showed massage had no effects on muscle function, a study by Mancinelli et al. (2005) found otherwise. Female collegiate volleyball and basketball athletes who received a 17 minute thigh massage after pre-season training not only experienced less DOMS but also increased their performance in the vertical jump test. It is important to note that the massage techniques used were effleurage (stroking) and petrissage (kneading). Deep tissue techniques were not utilized. These techniques may cause increased soreness and be contraindicated for acute muscle recovery. Exercise recovery includes helping all systems of the body recover. Given that the activation of the parasympathetic system plays a key role in adapting and healing, an integrated recovery program must include modalities or techniques that address the nervous system. Recovery includes both minimizing physical, mental, and emotional stress and boosting PNS activation. Set parameters with clients for exercise intensity, especially when they are exercising on their own. Emphasize the importance of active recovery and rest days (which may be a bit of a challenge for clients who push 100% all the time). Encourage clients to find ways to release mental and emotional stress. Determine what techniques help clients feel relaxed and rejuvenated. By utilizing these processes, clients will be able to more easily stay out of sympathetic dominance, recover better from their training and life stress, and continue their training to achieve their goals. James, D. V. B., Munson, S. C., Maldonado-Martin, S., & Croix, M. B. A. D. S. (2012). Heart rate variability: Effect of exercise intensity on postexercise response. Research Quarterly for Exercise and Sport, 83(4), 533-9. Mancinelli, C. A., Davis, D. S., Aboulhosn, L., Brady, M., Eisenhofer, J., & Foutty, S. (2006). The effects of massage on delayed onset muscle soreness and physical performance in female collegiate athletes. Physical Therapy in Sport, 7(1), 5-13. Sarang, P. S., & Telles, S. (2006). Oxygen consumption and respiration during and after two yoga relaxation techniques.Applied Psychophysiology and Biofeedback, 31(2), 143-53. Solberg, E.E., Ingjer, F., Holen, A., Sundgot-Borgen, J., Nilsson, S., & Holme, I. (2000). Stress reactivity to and recovery from a standardised exercise bout: a study of 31 runners practising relaxation techniques. British Journal of Sports Medicine, 34: 268-272. Telles, S., Reddy, S. K., & Nagendra, H. R. (2000). Oxygen consumption and respiration following two yoga relaxation techniques. Applied Psychophysiology and Biofeedback, 25(4), 221-7. Zainuddin, Z., Newton, M., Sacco, P., & Nosaka, K. (2005). Effects of massage on delayed-onset muscle soreness, swelling, and recovery of muscle function. Journal of Athletic Training, 40(3), 174-80. Thanks so much for the comment, Scott! I hope you have been practicing techniques to get your body into the parasympathetic nervous system and relax. Hi Chrissy, I have been interested in the restorative nature of the parasympathetic nervous system. Thank you for your informative article. I took note of the idea that the body can not tell the difference between physical and imagined stress and that being in a parasympathetic state is the normal state of being.